What a year! 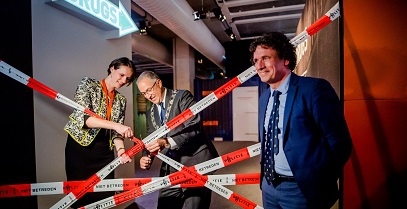 It was our pleasure to welcome some 217,000 visitors last year, we were proclaimed ‘Museum of the Year’, we changed our management board and we hosted a high-profile exhibition about the drugs trafficking that comes through the port of Rotterdam. It’s been a year of resounding successes, thanks to the hard work, inspiration and commitment of our staff and volunteers and the support and enthusiasm shown by our many collaborative partners. We want to surprise, inspire and move our visitors by regaling them with our tales of all the ways the maritime world affects our day-to-day lives, from the energy we consume that is extracted from the sea to the trafficking of drugs through the Port. 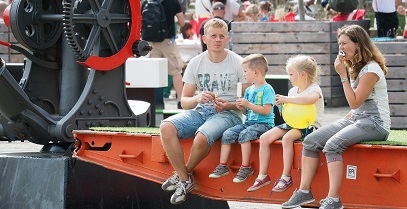 We want to offer three generations of visitors – who in many cases do not have any special interest in the maritime world – a memorable and educational museum visit. We do this by having a programme of socially relevant and contemporary exhibitions and activities. 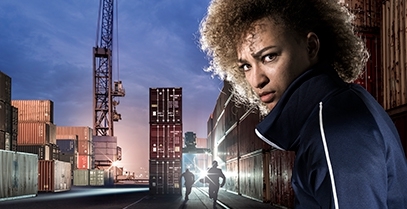 We presented eight exhibitions in 2018, two of them new: 'Waterproof' in partnership with Lloyd’s Register Nederland, and 'Dealing with Drugs', the latter with a script written by Chris Westendorp (who wrote the script for Dutch drama series Penoza), where visitors played the leading roles themselves! For this latter exhibition, we worked closely with the police, seaport police, the Dutch Public Prosecution Service, the customs office and the Rotterdam’s municipal port authority. In addition to exhibitions, we presented events for specific target groups, from one with a playful pirate theme as part of the children’s activity exhibition ‘Professor Splash’ to readings about current social developments. > Guest ships and other vessels, round trips and activities in the museum harbour before and during the World Port Days. We manage a collection that connoisseurs say is one of the best in the world and we use our programming, lectures, publications and congress papers to make it accessible to a wide audience. We regularly lend out items ‘on loan’ to museums’ exhibitions all over the world, with our collection also regularly being used for research purposes. 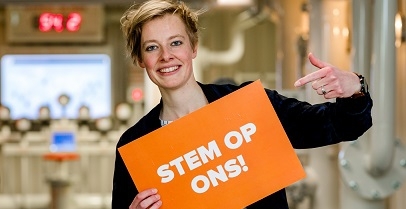 Last year, we welcomed not only many Dutch researchers but also those from China, Indonesia, Sweden and France to research items from our collection. In 2018, we completed our Project for the Preventive Preservation of Paintings. The condition of all 580 paintings has now been catalogued. The works have been photographed and documented, with the necessary preservation work being carried out by a restorer. This work also provides useful information for future restorations, including on the costs and planning involved, so that such work can be properly managed. A similar project is now underway for our collection of globes, with it being the turn of our model ships from 2019 onwards. In December 2018, the Flemish government designated our grain elevator ship an object of ‘Protected Sailing Heritage’. Thanks to this recognised status and the associated subsidies provided for restoration, it will now be possible to preserve this wonderful piece of maritime heritage for the future – and it can still travel on water too! > Acquisition of a painting by French artist André Wilder. After improving our information provision in 2017, in 2018 we worked on the third phase of our ambitious programme to realise a dynamic museum harbour, which was the construction of a new pavilion by the Leuvehaven harbour to contain the Museum’s contemporary, publicly accessible engineering workshops, two new catering facilities and a harbour information point for the Port of Rotterdam. 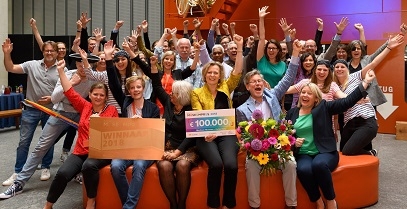 Our winning of the Dutch BankGiro Lottery Museum Prize completed the necessary funding for the construction of these workshops. Together with a large number of businesses, artists, educational institutions and the Municipality of Rotterdam, we will further develop the museum harbour and Maritime District in the years to come and turn it into an inviting maritime historical heart of our great city. > Festive opening ceremony for our new sailing season. 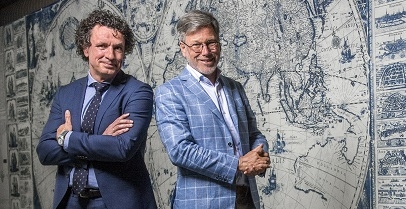 The Rotterdam Centre for Modern Maritime History, which is the collaborative venture between the Museum and the Erasmus University Rotterdam, can look back on a successful 2018. The emphasis was on integrating the modern maritime history element into the university educational curriculum and on helping get research carried out. The museum hosts lectures and tutorials. More than ten bachelor’s and master’s degree students use the collection for research traineeships. The collection is thus demonstrating its value both for academic education and as a source for scientific research. Our curators were closely involved in the research carried out by the master’s students. This work promotes the museum’s sharing of its content and related expertise with the field of academic research. Good progress was made on the project to research the history of the Dutch shipping industry. A fourth doctoral candidate will shortly be appointed to join the three doctoral candidates who are already carrying out doctoral research for this project. 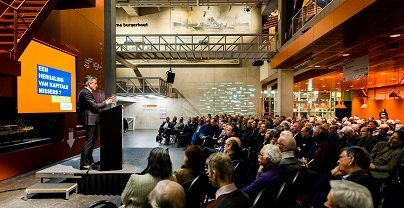 > Read more about the Rotterdam Centre for Modern Maritime History. In 2018, we welcomed 17,500 pupils and students for a broad range of educational programmes. 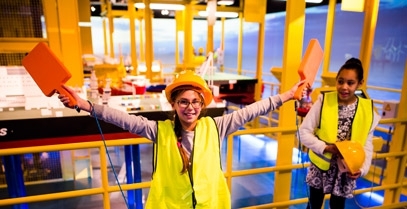 Last year, the main focus was on educating about engineering, with the goal being to inspire more pupils and students to get interested in the field of engineering. The collaboration with Rotterdam’s Shipping and Transport College Group, in which lecturers use the ‘Offshore Experience’ as a classroom, was continued. Under the programme known as ‘Samen Sterk’ (‘Together Strong’), we worked with the STC Group, business & industry, and a number of civic organisations. We worked with the Albeda College to develop a programme for youngsters who are disadvantaged in terms of their educational, employment and social opportunities. At the same time as these youngsters are being given a special inside view of the world of offshore and engineering activities, they are receiving intensive coaching at school to help them find the course of study that is right for them. In a collaboration with the YOUZ information officers, we developed the exhibition ‘Dealing with Drugs’, an educational programme for MBO students in senior secondary vocational education and for students in the second stage of secondary education. As part of the exhibition’s concept, students were confronted with dilemmas and made aware of the dangers of undermining the rule of law. The information we presented in it on the trafficking in and consumption of illegal drugs means we are responding to a pressing educational need. 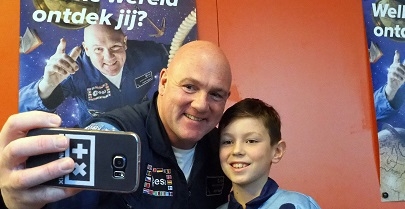 In collaboration with the PABO primary education teacher-training college of the Rotterdam University of Applied Sciences, we organised the project ‘Travel back in time’, in which almost 500 primary school pupils and many dozens of future teachers became acquainted with the maritime history of the Netherlands. > Presentation of 8 new ideas for energy extraction at sea. In 2018, we were unable to match the visitor numbers for the record year that was 2017, primarily due to a disappointing summer period that was down to the heatwave. Despite this decline in visitor numbers, we can look back on a good year, with high ratings from our visitors and income from museum entry fees rising by 8%. We successfully launched the ‘Dealing with Drugs’ exhibition, along with round trips and educational programmes, with results-driven deployment of owned, earned and paid media. Working with our many partners who are cultural, civic and educational institutions and events was a very pleasurable experience and one that was designed to get a new public to commit to our cause. The priorities here were to increase the level of commitment on social media, CRM (customer relationship management) and e-mail marketing, as well as to optimise the customer journey, both for private individuals visiting our museum and for the commercial marketplace and educational sector. > View our most recent press releases. > 85 Partners and 34 funds and foundations committed themselves to the Museum. > And last but definitely not least we must thank: our 65 staff, 3 doctoral candidates, 11 trainees and 154 volunteers. > Museum of the year! We tell the story of today's Dutch maritime industry, looking forward to the future and linking it to more than six centuries of fascinating history. We are thankful for the financial support of our partners.